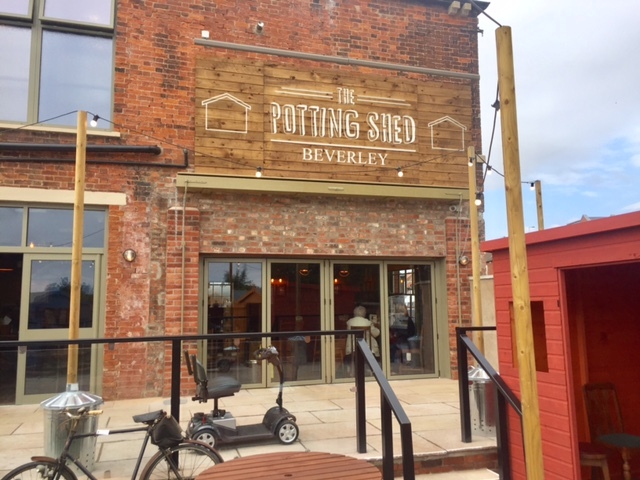 Last weekend Darren and I decided to have lunch at the newly opened Potting Shed in Beverley. My brother recommended it to us, so after a potential wedding venue visit we went over there to check it out. 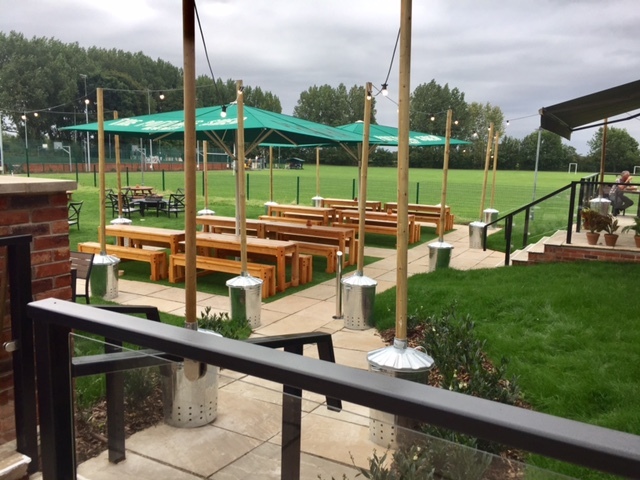 The first thing I was pleased about was that it has a carpark ! That may sounds odd but there isn't loads of parking in Beverly so its good to have places that have their own parking facilities. 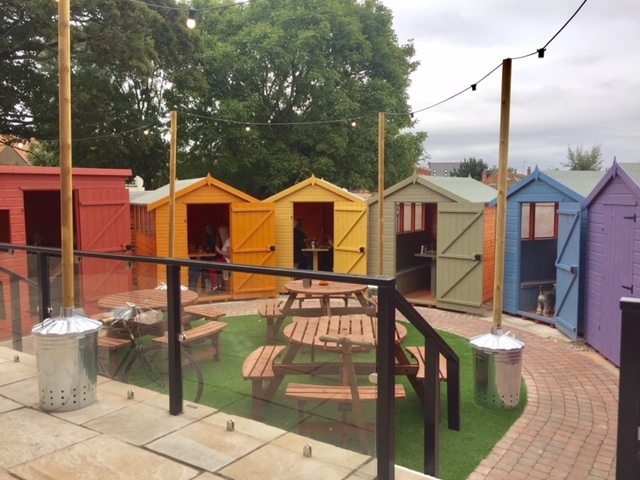 We walked in through the back way and instantly noticed all the brightly coloured sheds in the garden area. Such a fun quirky idea, I loved it and insisted that we sit in one. It wasn't too cold outside and it sheltered us from the breeze which was nice. 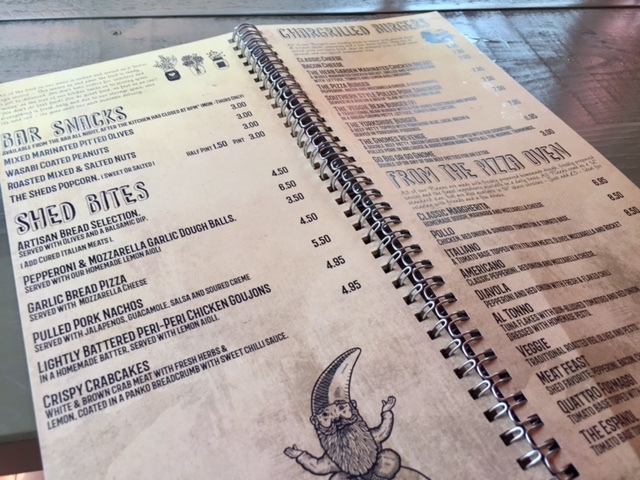 We popped inside to grab menus and a drink. 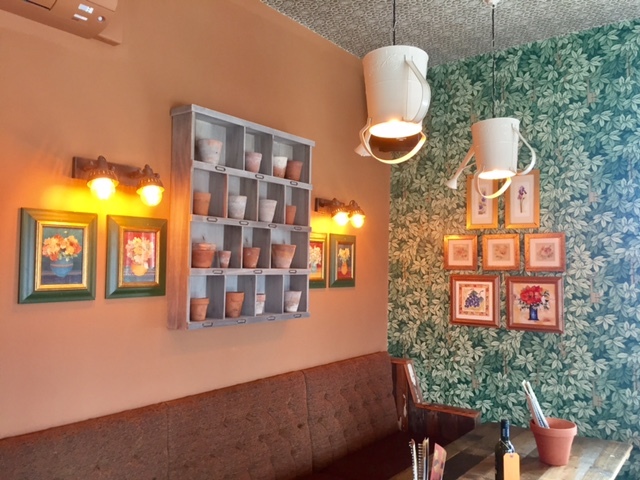 The inside was really well done out and I loved the decor. We ordered cider each and I loved how the glasses had 'the potting shed' printed on them (Its the little things). 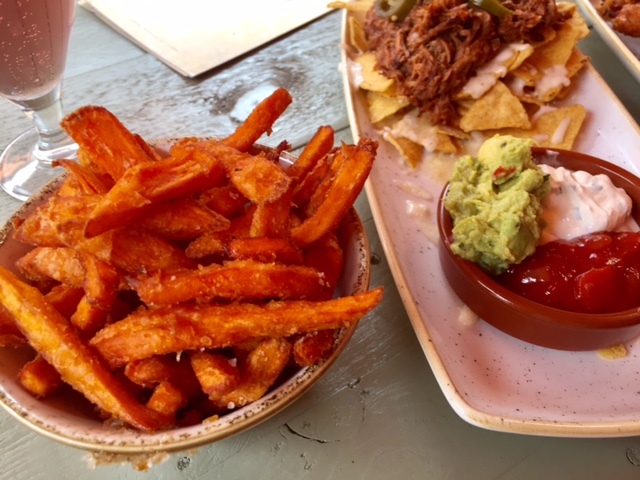 We choose to have two of the shed bites and some sweet potato fries to share as we didn't want a huge meal. The food was served fairly quickly and presented really nicely. We dug in and found it was all delicious. Even though we didn't order a lot we where still so full and couldn't finish it. 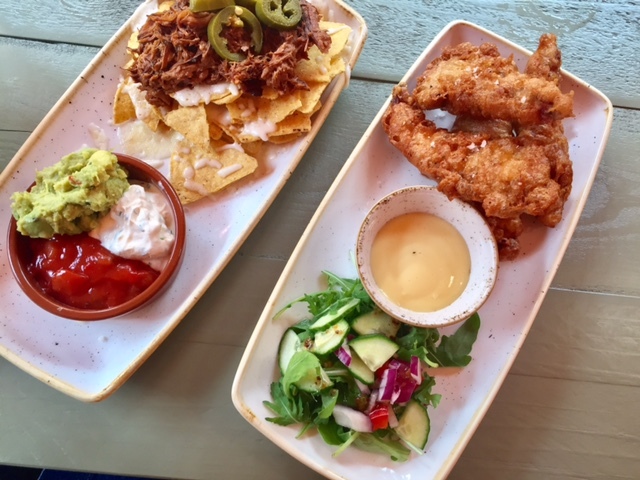 We chose the pulled pork nachos and a portion or chicken goujons which came with a lemon mayo which was lovely. Both the food and the drinks where really nice and we agreed we would return to try more of the menu! Where have you eaten recently ?